… Delivering on More Than Just Flavor! 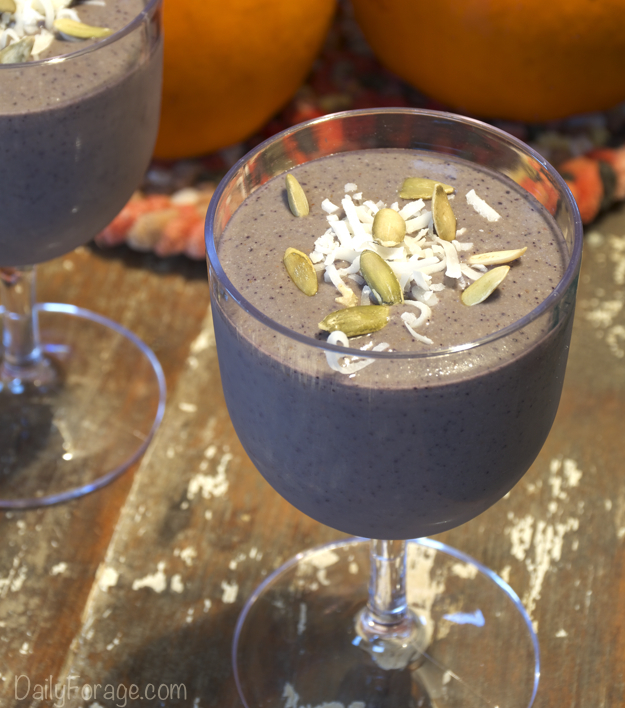 This smooth and creamy gluten-free, dairy-free protein smoothie is loaded with nutrition and health benefits of pumpkin, pepitas (pumpkin seeds), blueberries and cashew butter. 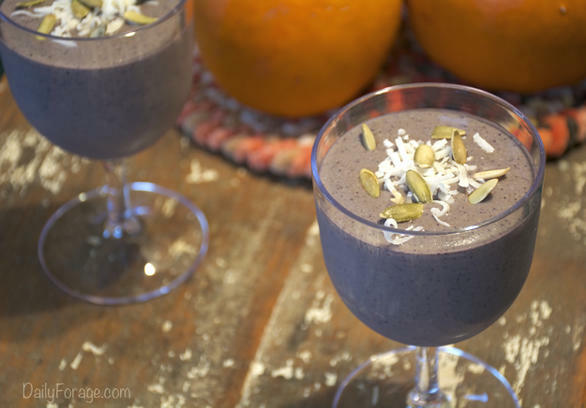 Mixed with shredded coconut and agave nectar for a slightly sweet flavor, everything is whirred together with almond milk in your blender to produce a thick, velvety drink worthy of calling it breakfast or lunch. This smoothie is much more than a healthy snack and will keep delivering energy all morning or afternoon long. Pepitas (pumpkin seeds) contain essential fatty acids that help reduce inflammation, as well as a whole host of minerals and vitamins. Blueberries are considered one of the healthiest fruits and fall into the low-GI (low glycemic index) category of fruit, helping to maintain even blood sugar levels. Pumpkin contains an abundance of Vitamin A, a key player in healthy skin and eye sight. 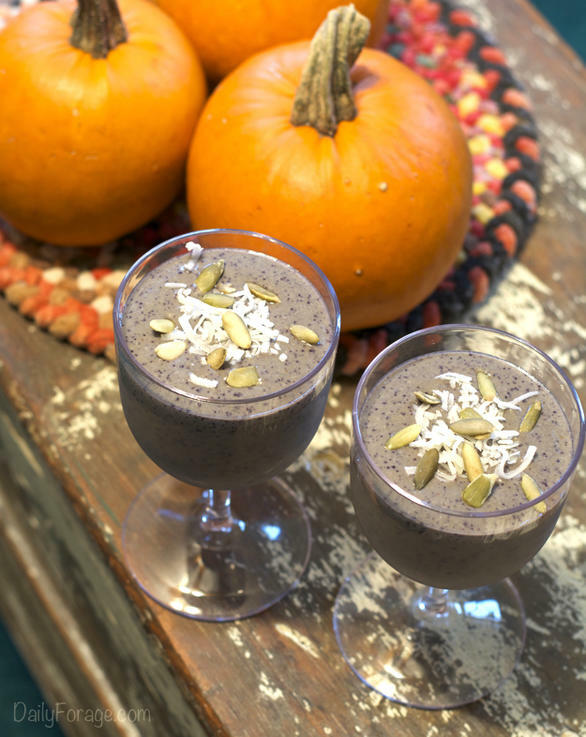 With all these nutritional benefits – and so many more that I’ve not included – this smoothie is a delicious and healthful way to celebrate the flavors of fall while giving our body just what it needs to stay strong. Servings: 2 6-8 ounce servings. Place pumpkin, blueberries, pepitas, coconut, cashew butter, agave nectar, and pumpkin pie spice into a blender, preferably a high-speed blender. Pour in almond milk and add ice cubes. Process on low for 20-30 seconds then gradually increase speed to highest level. Blend for 30 seconds to 1 minute, or until completely smooth. Serve cold. If only half is being consumed at this time, store the other half in a resealable jar in the fridge until ready to drink, up to 24 hours. Shake well before using. Wow! I can drink this all day, everyday! The fact that it is a gluten free drink makes it more interesting to have. Thanks, Jimmy, for sharing your thoughts. I’m so glad you enjoy it! Be sure to try some of my other shake and smoothie creations. Variety is the spice of life, right? 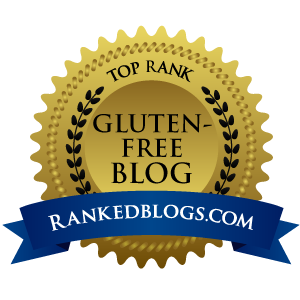 Even for us gluten-free, dairy-free folks.